We are proud to announce the scientific conference of young scientists with the international participation, dedicated to the Science Day in Ukraine that is scheduled to take place May 15, 2014 at the GI “L.T. Malaya National Therapy Institute of the National academy of medical sciences of Ukraine”. The conference program will include the symposium "From nutrition to healthy lifestyle: a view of young scientists" dedicated to the 169th anniversary of the I.I. Mechnikov. 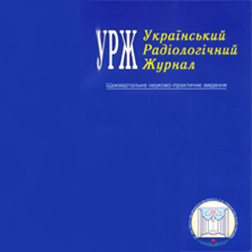 Radiology and oncology specialists are invited to take part in the work of the conference of Ukrainian Society of Radiation Oncologists “Urgent Issues of Radiation Therapy in Ukraine” , which is to be held on June 30-July 1, 2011 in Ivano-Frankivsk.